No one’s taking the high road in an increasingly nasty “insult ad” campaign going back and forth between T-Mobile and AT&T. Both wireless carriers are mentioning each other by name in a contentious, no-holds-barred ad fight that has both companies taking out full-page newspaper advertisements to point out the alleged awfulness of the other’s wireless coverage. That’s pretty harsh behavior for two companies that were trying to merge just 15 months ago. The image above shows us the competing full-page ads the companies have run this week, or reportedly intend to run this week. On the left, we see AT&T’s full-page ad attacking T-Mobile that did indeed run earlier this week in The New York Times, USA Today and Wall Street Journal. In the right corner, we have T-Mobile’s response ads obtained by the unofficial T-Mobile blog TMO News, ads which will reportedly run in the same daily papers. 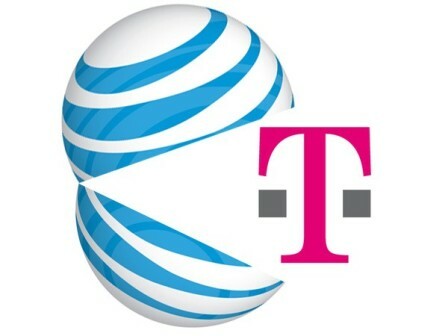 The AT&T ads declare they’re telling “the truth about T-Mobile’s network compared to AT&T” and claim that T-Mobile’s network suffers “2x more dropped calls,” “2x more failed calls” and “50 percent slower download speeds” when compared to their own network. I’m no CLIO Award panelist, but I don’t see the wisdom in attacking a smaller competitor whose subscriber base is only a third the size of yours. That’s just giving your smaller competitor free publicity. Wouldn’t it be better to just ignore them? T-Mobile couldn’t ignore the barb and have responded in kind with a trio of attack ads that are more sassy than classy. TMO News provides proofs of the ads, which will reportedly run once approved. The most provocative T-Mobile attack ad reads “If AT&T thought our network wasn’t great, why did they try to buy it?” (AT&T attempted to purchase T-Mobile in 2011, but dropped the bid after regulatory opposition). Sure, these T-Mobile ads have been a big hit with the blogs. But they’re inside baseball — the consumer has to know the backstory to understand the advertisements. The tone of the ads is kind of snotty. The ad campaign may give T-Mobile some measure of revenge satisfaction, but personally I would not switch carriers over some deep-in-the-reeds counterattack that does nothing to inform me of the carrier’s actual benefits. AT&T and T-Mobile may have dragged one another into a marketing feud which neither carrier can win. The only winners thus far are the ad sales staffers at certain daily newspapers.